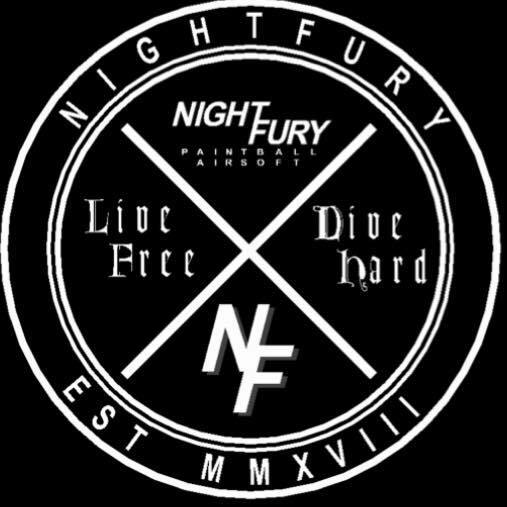 Night Fury, a team of 12 paintball enthusiasts were set to play a tournament they had never experienced before. For the last four months the team has been recruiting and training players interested in the sport of paintball. 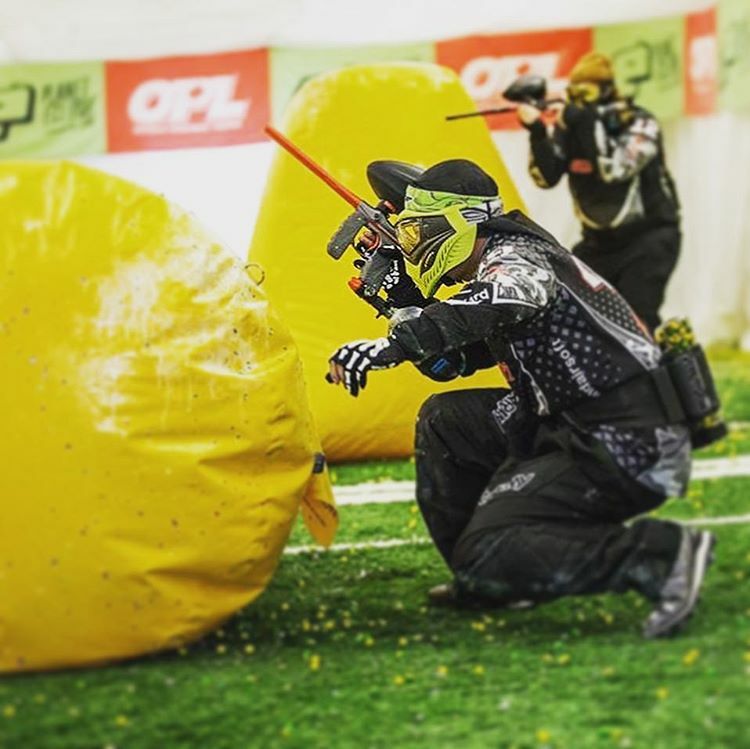 Not just any type of paintball but speedball, the Formula 1 of the paintball hobby. It’s a different breed; faster, quicker with more running and sliding but also way different than the classic recreation paintball you see at birthdays. This was going to be a different experience compared to what these 12 guys were used to, but how different was still up in the air. The team was split into two squads of 6 to compete in a 4 men two division tournament. Challengers Division which consisted of Jason Tugade, Mac Rakic, Daniel Butler, Anthony DiVona, Matt Simoes and led by Team Organizer Adrian Javier. The Champions Division which consisted of Angelo Tourountzas, Luca Lociciro, Kyle Knieriem, Freddie Campbell, Michael Nicholson and led by Team Captain Andrew Morrell. 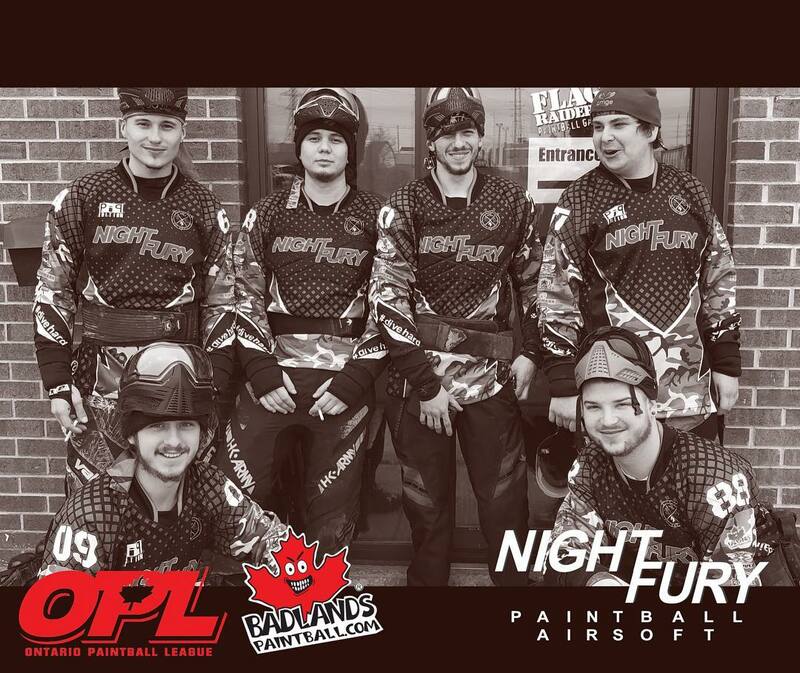 The team spent the previous night at their local paintball field, Paintball Nation Mississauga, tuning and cleaning their gear with some optimism, enthusiasm and a bit of doubt for what to expect at the event, little did they know how different it was from their expectations. 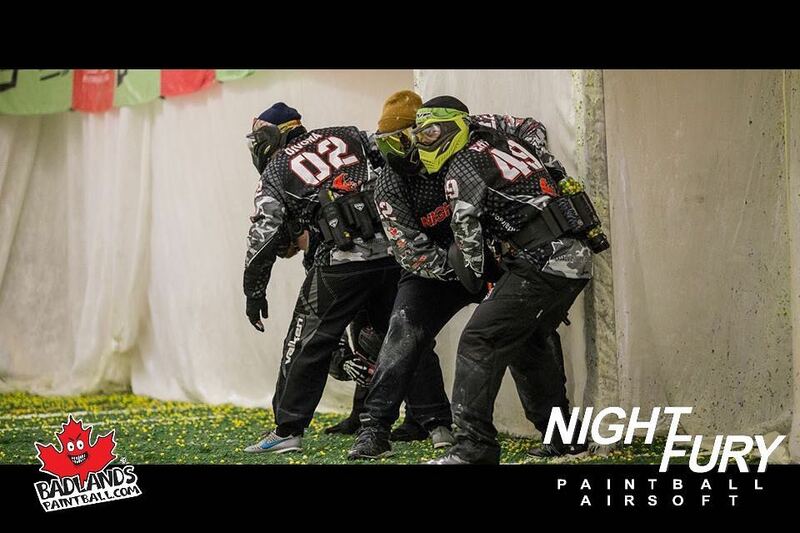 On that morning of Sunday March 24th 2019, The Challengers Team packed their gear into their cars ready to make the drive to the event at Flag Raiders Paintball Indoor Field in Waterloo Ontario. It was six in the morning, too early for most people on a Sunday but they had to make it to the event by seven and the trip was at least an hour. Upon arriving the atmosphere was something they never experienced before, only imagined and witnessed from a spectators view. Game after game the team played hard, pushing forward as best they could but this was not like the environment they were used too, turf instead of sand, blow up bunkers rather than barrels and tires, this was something new and with every game came the sad crushing defeat, but they made moments, took names and with every loss made some improvement. Matt Simoes, was interviewed by the event commentators, other teams came over exchanging tips and compliments and even Daniel was recognized by some of the best players at the event. The Champion division was no walk in the park, if anything every team was almost two or three levels higher. However Andrew and his squad made them work. With each game they took one or two players out, got the commentators talking, and got the people talking. The Champions squad was making the other teams work for their wins, even though they knew they weren’t going to get far, they were going to get known. For our first game we thought the best strategy was for one player to play home, one snake side, and two Dorito side. I was going corner Dorito to help Matt play from the closest Dorito and try to move up. Right off the break I saw someone go to my mirror and my only objective was to keep that guy down. Unfortunately I didn’t see one player go to home, and when I tried to get a different angle he got me out. Our second game we decided to switch things up, we we’re going to start playing two snake side, one home, and one Dorito side. This time Matt was going to try to get into the snake and I was going to support him from Snake corner. Off the break I see one player go to Home and one head to Dorito 2. Instantly I was trying to gun battle both of them so Matt can move, unfortunately Matt was eliminated and all the fire was directed to me until I was out. By this game we realized that our main weakness was our communication. In the pits while we were discussing our strategy Mac and I tried to stress to everyone to never stop communicating. This game I was going to try to get to Snake insert while Mac covered me. Once he gave me the signal to move up I would dive into the snake. Things didn’t go as planned when we both got knocked out off the break. The main thing we were going to switch up is have Butler go to the 50 off the break but keep Matt and I snake side. Like the second I was going snake corner while Matt was going to go snake insert. Right off the break while running and gunning to the bunker I got clipped on the arm. This game I realized snake side wasn’t working so I decided to go Dorito side. Butler was going to continue to go to the 50. Anthony was going to lane home and Mac was going to hold snake side. This game was our most improved, we got a clean break and were getting better at communicating the team’s locations. I got one the other teams back right out but in the end I was stuck in Dorito 1 in a 3 on 1, it wasn’t long till I took a bad peak and got hit on the hopper.